In the UK, Sky Sports is the ultimate platform to watch all the sports events you like. The SkyTV customers get to watch Sky Sports online for free streaming if they have the sports bundles subscribed. It is the first sports network in the UK and what started as a single channel in 1990, soon spread to a group of channels. Once it had channels numbered as 1, 2, 3, 4 and 5; and also HD channels with same numbers. But soon it got rid of its numbered channels and introduced seven new channels dedicated to specific sports. With the different sports channels, you can live stream the sports events. Also, you can also watch highlights, pre- or post-match interviews and the latest news related to those sports. With the numbered channels gone, you can no longer watch sky sports 1 online free, they have now different subscription packages for specific channels. And the packages for the SkyTV customers start with £18 extra a month for a single channel. But how to get free Sky Sports channels? Well, if you are a SkyTV customer with the complete Sky Sports bundle, you can watch all these channels at no extra cost. But there is no other free official way. Those who aren’t SkyTV customers, they can access Sky Sports with a Now TV pass. Get a day, week or month pass and watch Sky Sports on laptop or mobile. It has exclusive broadcasting rights for some events such as the English Premier League Football, UEFA Champions League, Rugby Union WWE, and Motorsport, among others. It has been satisfying the craving of sports fans for many years. But the broadcasting rights restrict the access to the channels outside the UK. Thus, these geo-restrictions don’t allow people to watch Sky Sports from Australia. Although not in an official way, you can still watch Sky Sports in Australia. The avid sports fans in Australia, need to use a VPN to get the livestream. Upon signing up, all you need is to connect to a server in the UK and get all the services as if you are there. The VPN service provider hides your real IP and provides you with an IP address of the UK, in this case. VPNs are safe and setting up a VPN client is easy. There are plenty of free VPN services, but a quality streaming comes at a price. According to the views of the users, ExpressVPN is the ideal VPN can use. It offers excellent speeds and claims them to be the fastest anyone can offer. 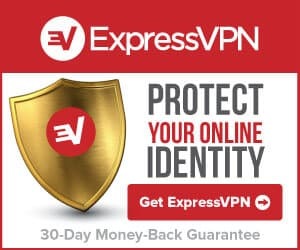 Check our previous post for a detailed ExpressVPN review. Another popular service is that of NordVPN. They also are providing excellent services at a competitive price. Both these service providers are known for their security and quality service and also do not keep any communication logs.